Most active traders have been told at some point that, “the trend is your friend” and “don’t try to catch a falling knife”. Contrarian strategies may seem to contradict this advice, but in reality, they’re just different ways of profiting from the same trends. They work on the assumption that prices fluctuate randomly around a prevailing trend and that prices deviating far from the trend tend to reverse and revert back. What is the Fading Strategy? Fading strategies involve placing trades against the prevailing trend to profit from a reversal. For example, if a stock’s price is unusually high, a trader might take a short position with the expectation that it will go back down. Or, a trader may place a long trade if a stock’s price is unusually low. Click here to learn more about the scalping strategy. The price is overbought (or oversold). Early buyers (or sellers) are ready to take profits. Current holders (or short sellers) may be at risk. Overbought or oversold conditions are often identified using technical indicators, such as the Relative Strength Index (RSI). Momentum may show early signs of shifting as early buyers (or sellers) take profit off the table. And these trends may force current holders (or shorts) to rethink their positions. These conditions are often exacerbated by a specific tipping point, such as an earnings announcement. A bullish earnings announcement may lead to a knee-jerk reaction on the part of other traders to buy the stock, but at some point, this reaction is over-extended and a mean-reversion takes place. In the above example, Snap shares experience a significant decline that leads to oversold RSI levels. Volume starts to decline after reaching a peak, suggesting that a trend change may be near. The following session’s price then opens higher, which points to a potential short-term bullish trend change. Most fading strategies can be executed in three steps. The first step is identifying overbought or oversold conditions using technical indicators or chart patterns. These are oscillators where overbought or oversold conditions are indicated by a reading above or below a certain level. For example, the RSI is overbought above 70.0 and oversold below 30.0, which can help traders identify fading opportunities. 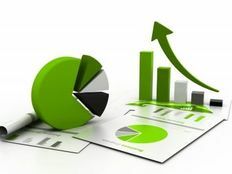 Traders may also use chart patterns, such as candlesticks, or simply rely on their own intuition when watching price action. The second step is watching for early signs of capitulation or a change in the short-term trend. Technical indicators start to lose steam or move away from their extreme overbought or oversold levels. Volume in the direction of the trend decreases and/or volume in the opposite direction increases. Bearish candlestick patterns start to appear or key support or resistance levels are breached. It’s important to identify these early signs to maximize the profitability of the trade and avoid missing a move. 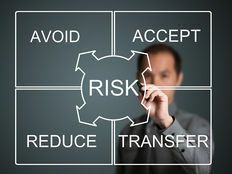 The third step is entering into the position and setting the appropriate stop-loss and take-profit points. Limit orders are almost always used to place trades to avoid any slippage or other issues, particularly in less liquid assets. Stop-loss points are often placed above or below key support or resistance levels. But take-profit points may be more dependent on a reversion to some kind of mean, such as a moving average or indicator reading, rather than a set price level. Fading strategies can be very risky since they’re going against the prevailing trend. 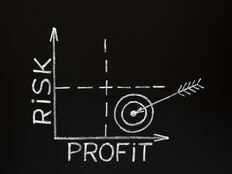 It’s usually a good idea to use stop-loss and take-profit points to control the risk-reward of the trade. Although it’s important to leave enough room to avoid getting prematurely stopped out from an otherwise profitable trade. Fading strategies are commonly used by short-term active traders to capitalize on short-term reversions to the mean along a prevailing trend. Sign up for our free newsletter to learn more about active trading strategies and keep up with the latest news.